Autumn is in the air now and there’s no mistaking that the summer is over. The leaves are turning, everyone has their Halloween decorations and other fall accoutrement on display, and coffee shops are advertising their pumpkin lattes. We’ve come to the end of another month and I haven’t gotten nearly as far in my projects as I would have liked by now. I’ve had a novel in the works since late last year, but that took a back seat to the novella that decided it needed to get written before anything else. Damn if I didn’t push everything else aside. Well, 8 months later, it’s ready. 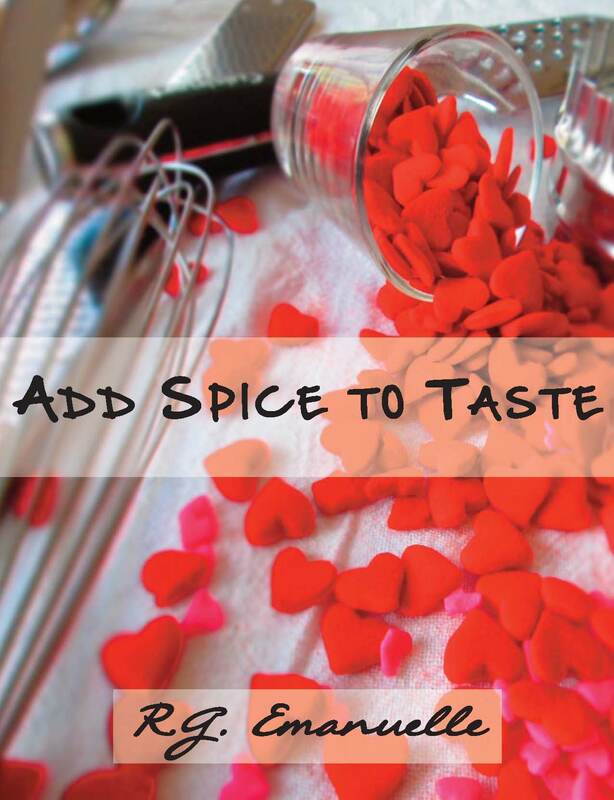 Add Spice to Taste is about to go up on Amazon as a Kindle product. But you’d think that I could get back to my novel now, right? Nope. Another idea has popped into my head and it’s demanding my attention now. Ugh, I don’t know when I’m going to get that other thing done. Eventually, I suppose. I guess you have to do whatever the Muse tells you to do if you want her to keep coming back. 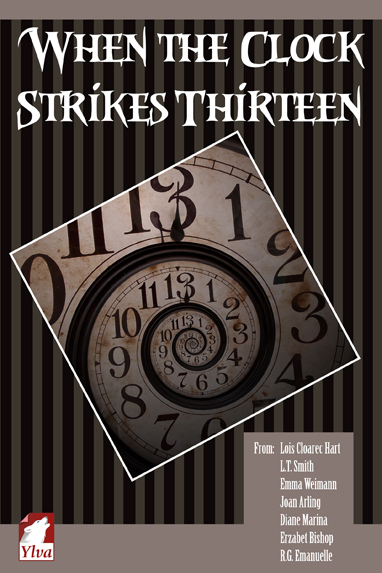 I’m happy to announce that When the Clock Strikes Thirteen, published by Ylva Publishing, is now available on Amazon. At the moment, it’s on Kindle only, but a print version is on its way. So, keep a look out for it. If you want to hear my story, “Love Bites,” you can listen to the entire thing on Liz McMullen’s Halloween edition of Lizzie’s Bedtime Stories, airing on October 30. In the meantime, if you’re so inclined, please check out my Spotlight Interview at Ylva Publishing. Thanks to Ylva for the spot. I would love it if you’d join me this weekend at LesFic Reader on Facebook. I’ll be answering questions on Saturday, from 3 to 5 p.m. and Sunday, from 11 a.m. to 1 p.m. Looking forward to chatting with you all! Now it’s back to work. Have a great weekend, everyone! Thanks for the updates! I’ll be there!